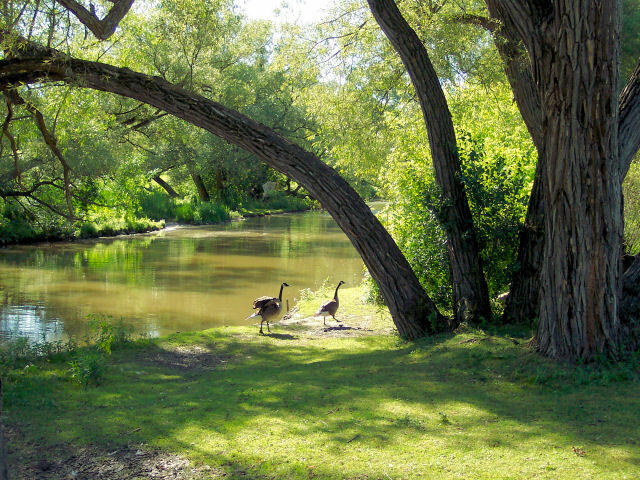 Fairy Lake is a man-made lake maintained by a dam on the East Holland River in Newmarket, Ontario. Originally a millpond, it is now used for recreation. There has been a dam at the lake since 1801. The park is open year round; however, access to some areas of the walking trail are limited during winter months. Park area with playground equipment, covered pavilions, washrooms for summer use.